This past year marked a shift in development priorities, as the global community began its journey toward setting the SDGs and a new climate deal. 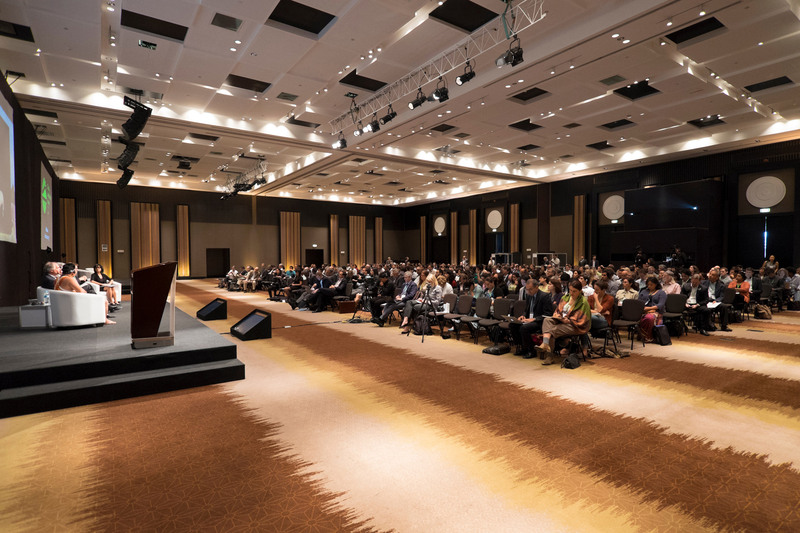 In response, we turned our focus toward more policy engagement, linking global research networks and generating dialogue combining key topics: food security, climate change, inclusive green growth, land tenure, gender strategies and smallholder livelihoods. 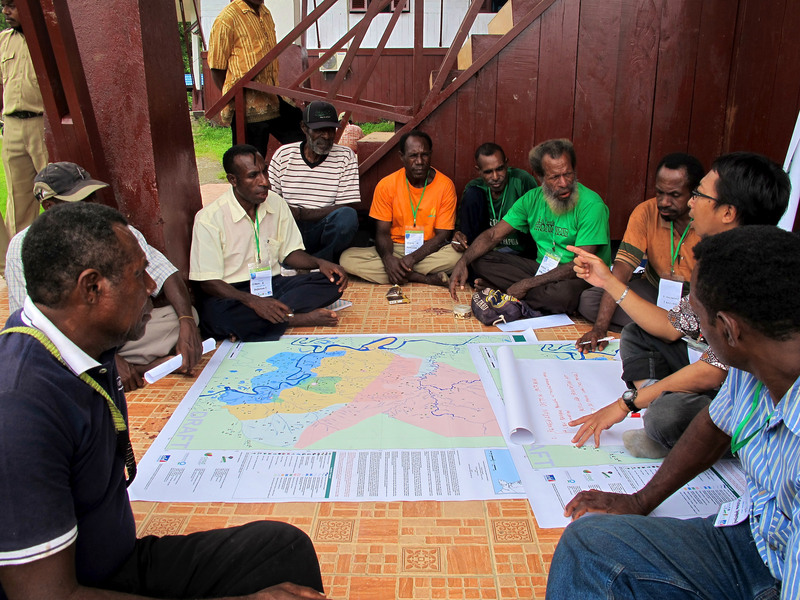 In 2015, we will complete our own strategic review and enter the post-2015 period ready to lead the decision making on forests, connecting communities with integrated landscape-focused approaches to the challenges ahead. One of my highlights of 2014 was the broad endorsement of the CGIAR Research Program on Forests, Trees and Agroforestry (FTA) and the helpful pointers for the future given by an independent evaluation of the program. This is a huge achievement for CIFOR, as FTA accounts for about three quarters of its activities. I look forward to building on that success during 2015. CIFOR is a non-profit, scientific facility that conducts research on the most pressing challenges of forest management around the world. Through high-quality research and powerful partnerships, we help policy makers, practitioners and communities make decisions about how they use and manage their forests and landscapes. As a member of the CGIAR Consortium, CIFOR shares the mission of reducing poverty and hunger, improving human health and nutrition, and enhancing ecosystem resilience. 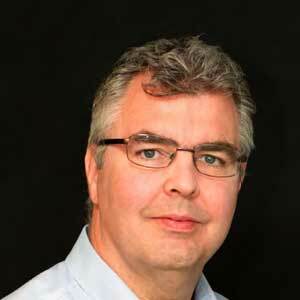 CIFOR is also a member of the CGIAR Research Program on Climate Change, Agriculture and Food Security. CIFOR leads the CGIAR Research Program on Forests, Trees and Agroforestry (FTA). 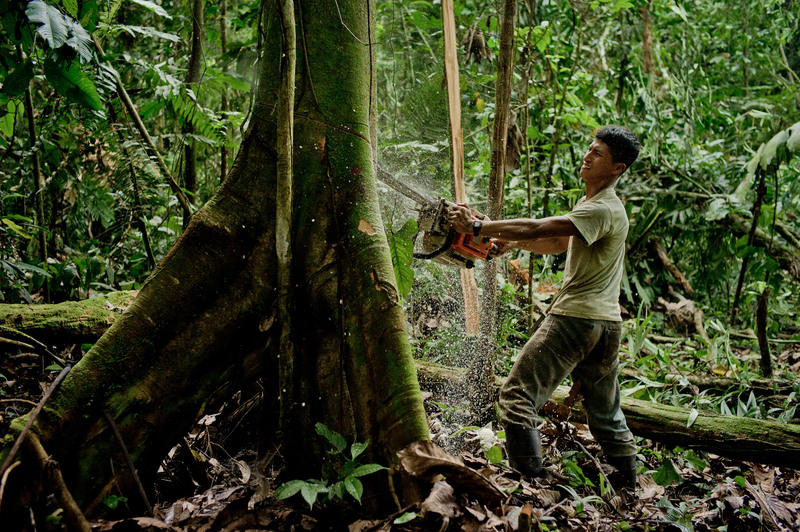 With over 230 researchers working in more than 80 countries across Asia, Africa and Latin America, FTA responds to the urgent need for a strong and sustained research focus on the management of forests and trees. Learn more at ForestsTreesAgroforestry.org. 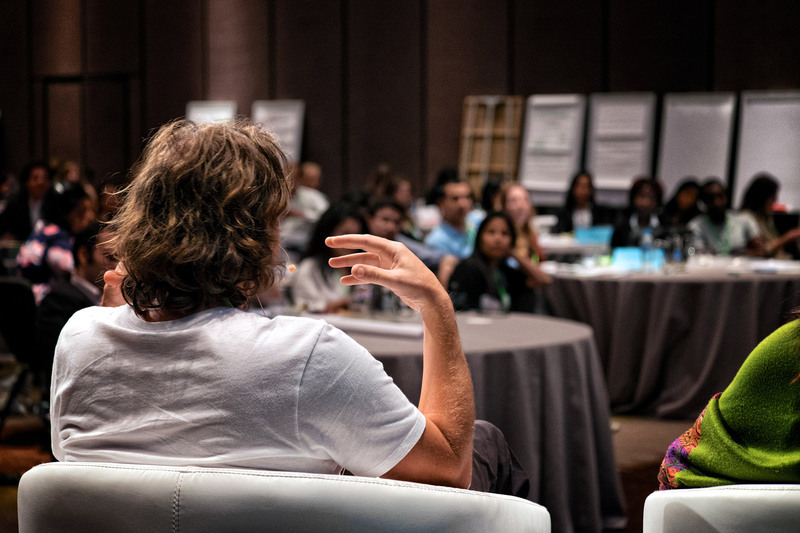 Through CIFOR projects, trainings were conducted around the world for everyone from villagers to government officials, on topics as diverse as data collection to environmental journalism. 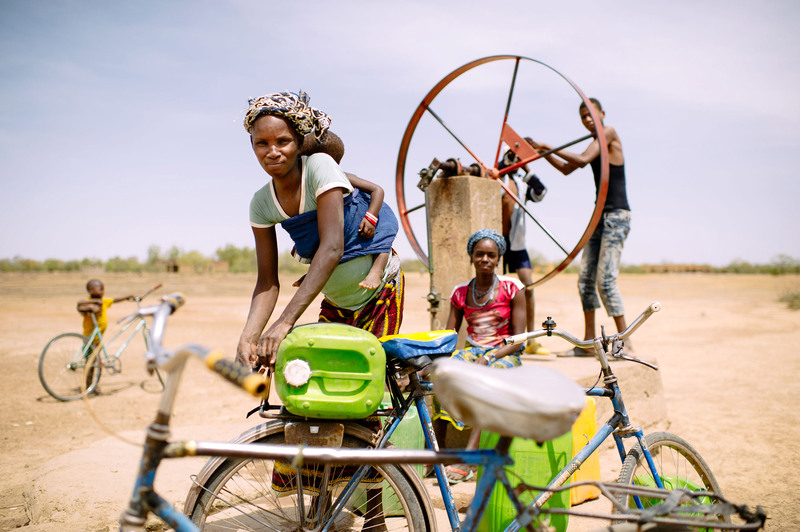 Barry Aliman, 24 years old, fetches water on a bicycle with her baby - Burkina Faso. Photo by Ollivier Girard / CIFOR. 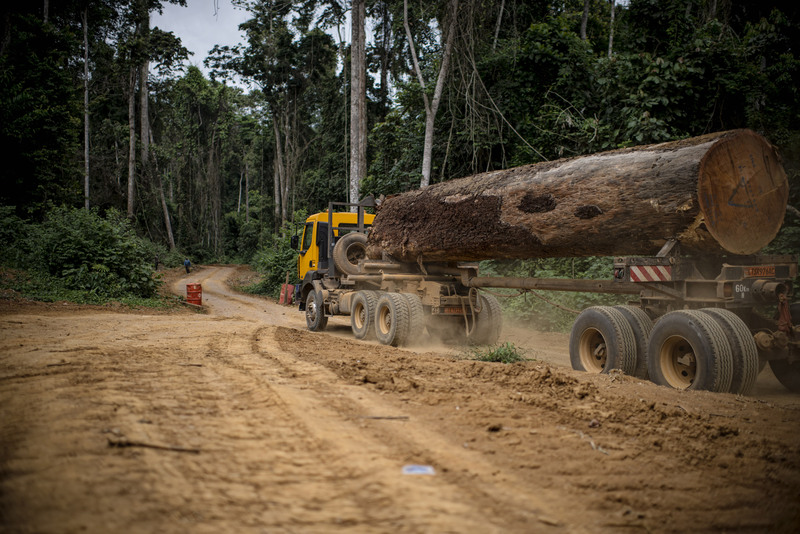 A wood truck near the village of Ngon - Cameroon. Photo by Ollivier Girard / CIFOR. 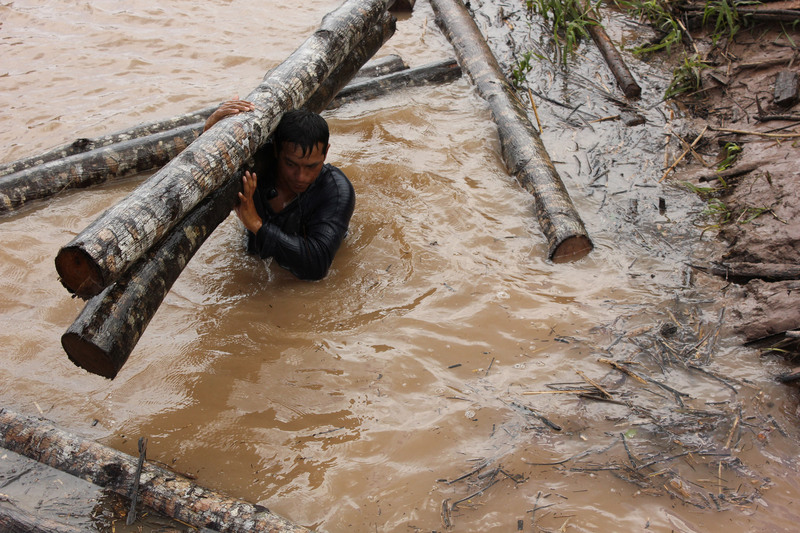 A worker hauls bolaina “tucos” from the river to be processed at a sawmill – Aguaytía River, Peru. Photo by Gabriela Erazo / CIFOR. 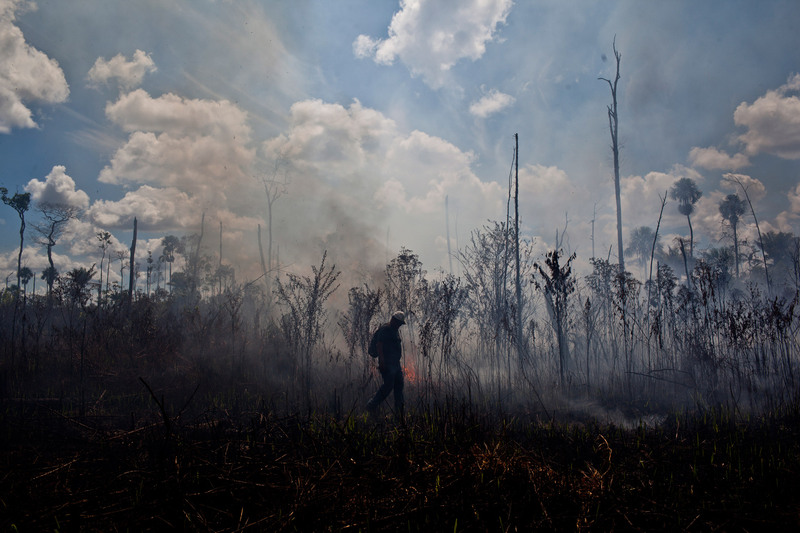 Oil palm planters, farmers and cattle ranchers burn fields to clear weeds and eliminate ticks that annoy livestock. Problems arise when the wind whips a fire out of control and endangers the surrounding forest. Photo by Ernesto Benavides / CIFOR. A Kiwcha villager clears an area to sow corn for his animals - near the Napo River in Orellana, Ecuador. Photo by Tomas Munita / CIFOR. 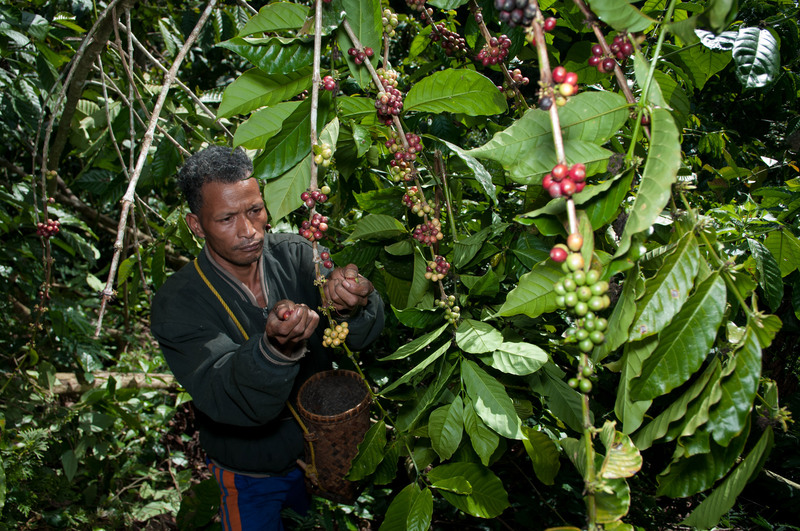 Coffee is a commodity of the Wae Rebo people, with trees directly adjacent to natural forests. Photo by Aulia Erlangga / CIFOR. 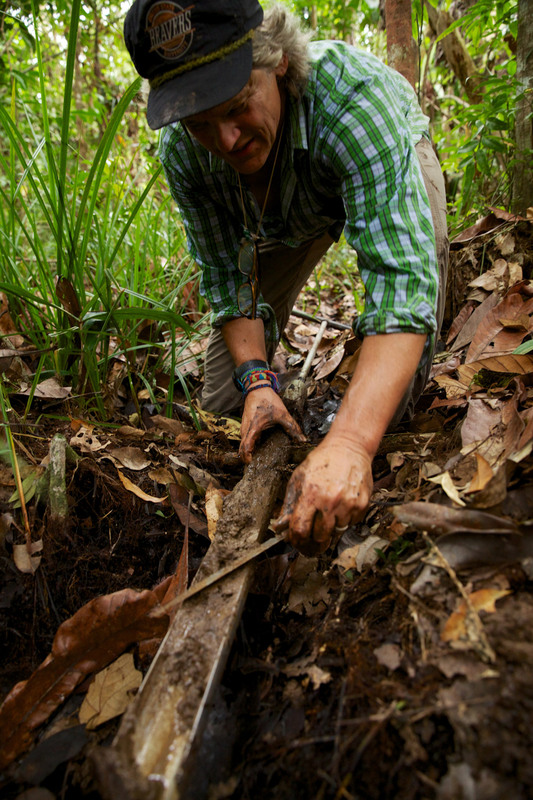 CIFOR's scientist takes a soil sample to be analyzed. Photo by Nanang Sujana / CIFOR. 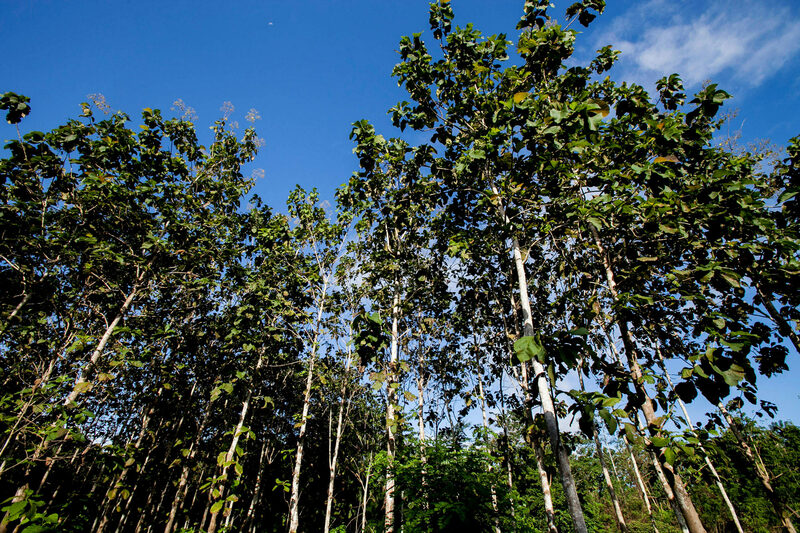 White teak trees (Gmelina arborea) in Lambakara village - Southeast Sulawesi, Indonesia. Photo by Tri Saputro / CIFOR. 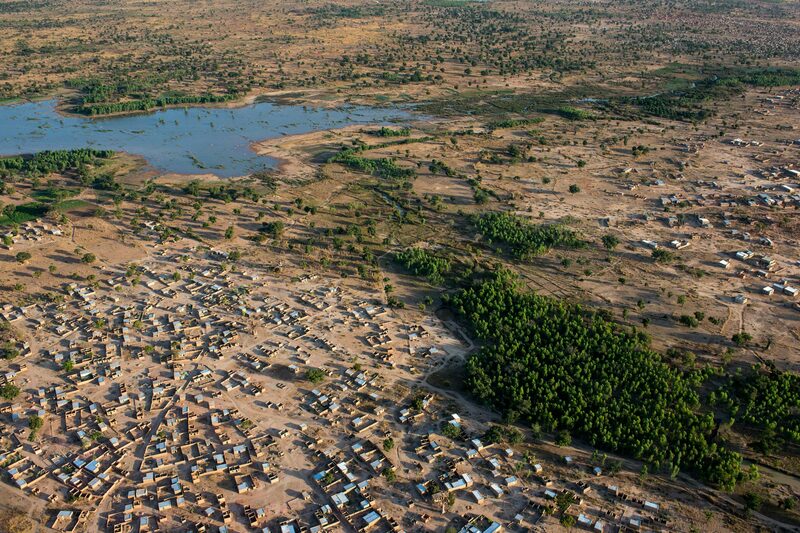 Aerial view of a city and the surrounding landscape - Burkina Faso. Photo by Ollivier Girard / CIFOR. 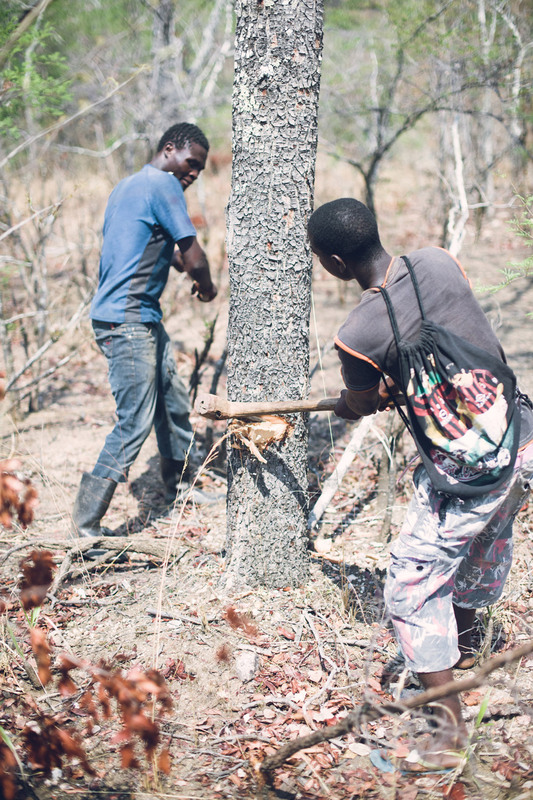 Charcoal production is driven by urban demand, with a typical Lusaka household consuming an estimated 1.3 tonnes of charcoal per year (requiring approximately eight tonnes of wood is needed). Photo by Ollivier Girard / CIFOR. Developers and testers work on The Landscape Game before its launch. 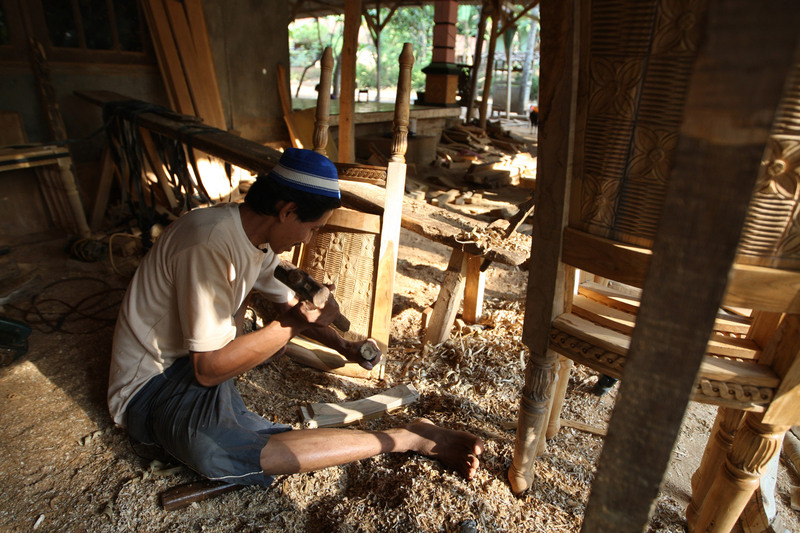 Photo by Aris Sanjaya / CIFOR. 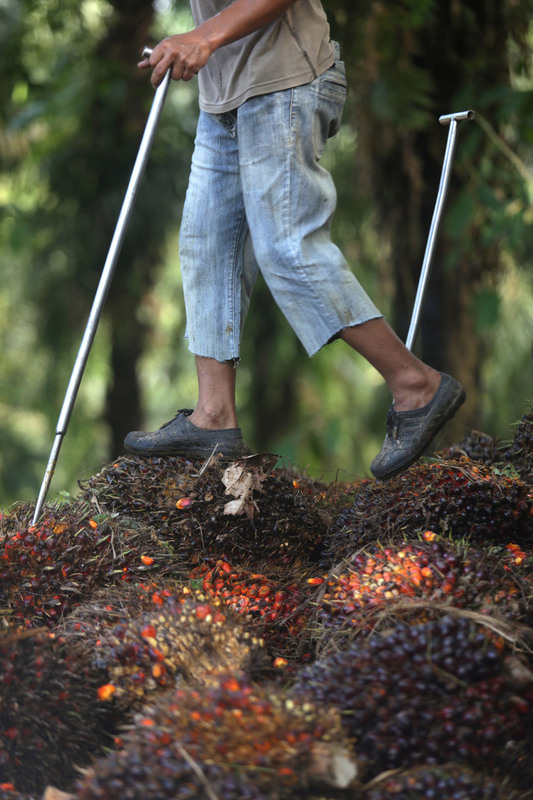 A worker loads oil palm into a truck - Sabah, Malaysia. Photo by Greg Girard / CIFOR. H.E. 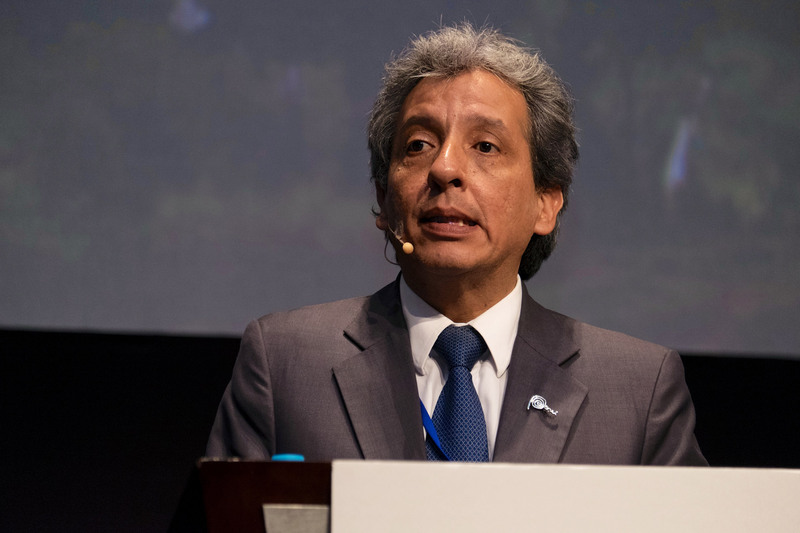 Minister Manuel Pulgar-Vidal, Minister of Environment of Peru, at the Closing Plenary on Day 2 - Global Landscapes Forum, Lima, Peru. Photo by Marco Simola / CIFOR. Closing Plenary on Day 2 - Global Landscapes Forum, Lima, Peru. Photo by Marco Simola / CIFOR. A speaker at the Youth Session - Global Landscapes Forum, Lima, Peru. Photo by Marco Simola / CIFOR. 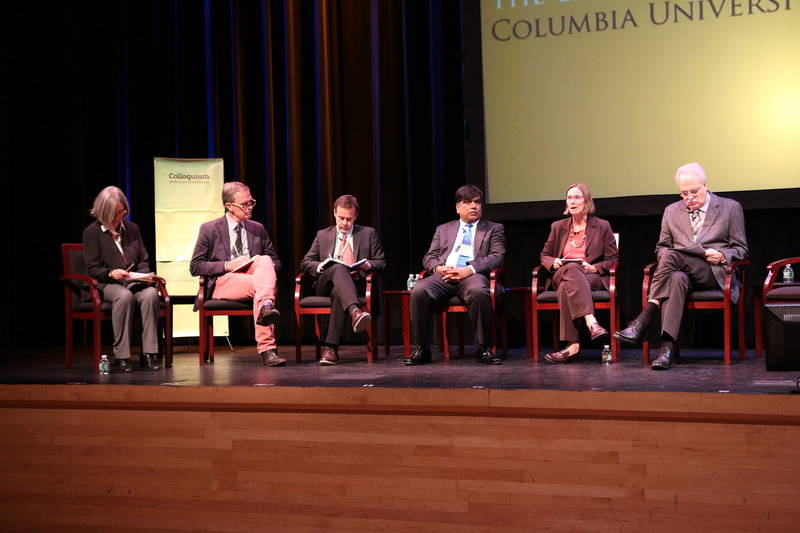 Leaders' discussion at the Colloquium on Forests and Climate: New Thinking for Transformational Change - Columbia University, New York. Photo by Kate Evans / CIFOR. 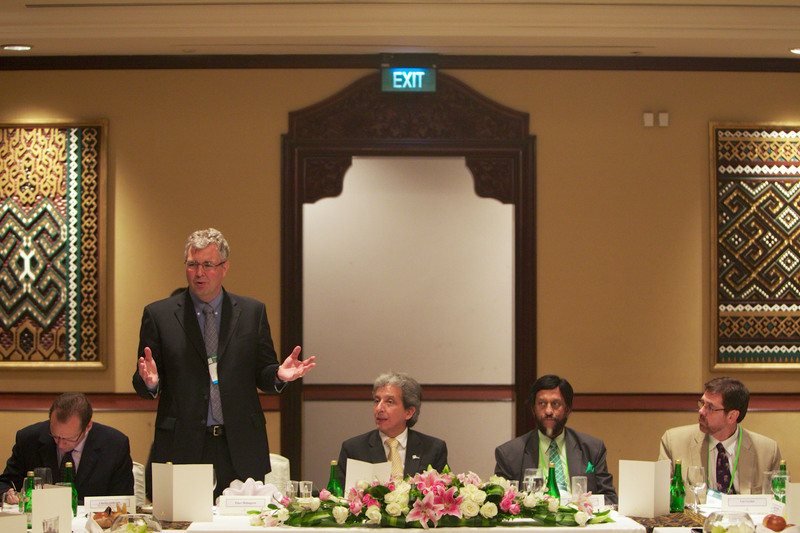 CIFOR Director General Peter Holmgren during a bilateral meeting of the Forests Asia Summit 2014 - the Shangri-La Hotel, Jakarta, Indonesia. Photo by Tri Saputro / CIFOR. 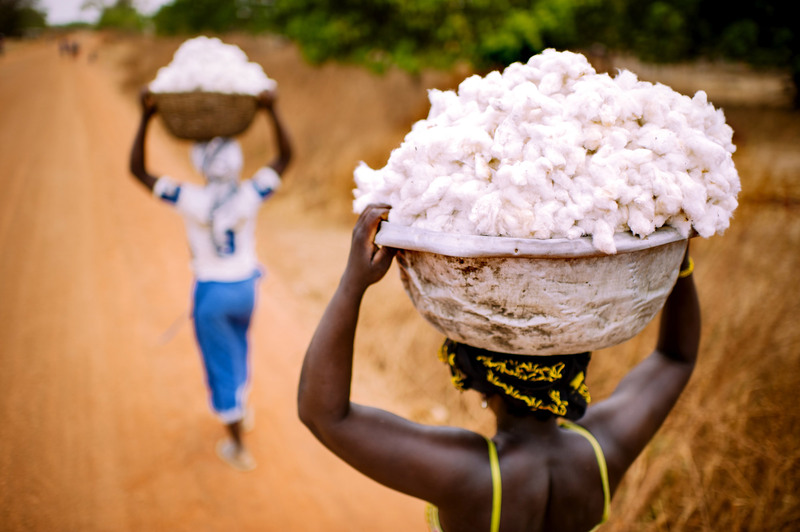 Farmers carry baskets of freshly harvested cotton - the village of Zorro, Burkina Faso. Photo by Ollivier Girard / CIFOR. CIFOR scientist Elena Mejia informs some Kichwa women of CIFOR's findings - Napo Province, Ecuador. Photo by Tomas Munita / CIFOR. 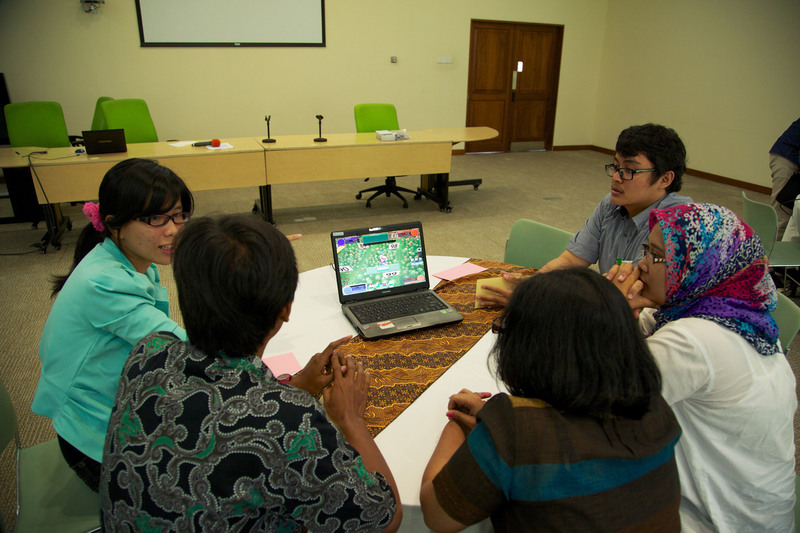 Workshop on Collaborative Land Use Planning - Papua. Photo by M.Edliadi / CIFOR. 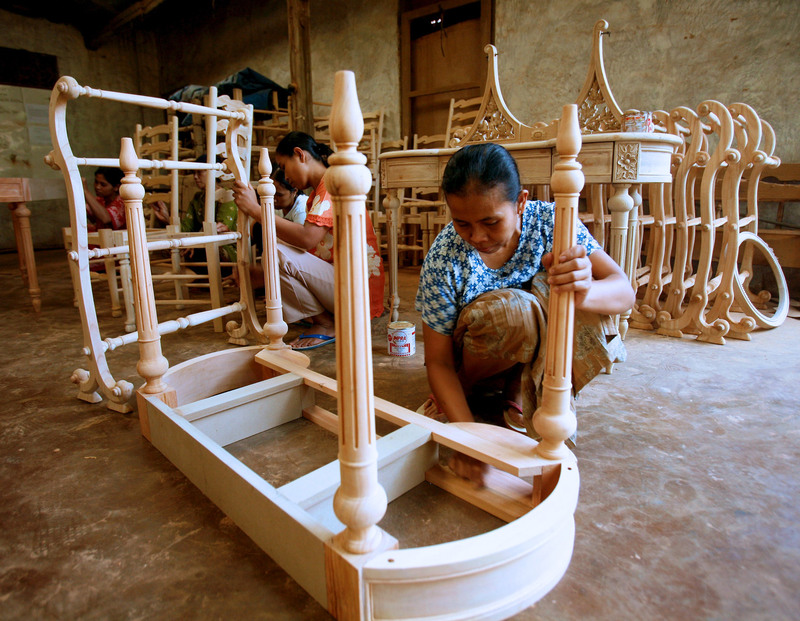 Workers finish assembling furniture - Jepara, Central Java, Indonesia. Photo by Murdani Usman / CIFOR. CIFOR's Davison Gumbo (Project Leader in Zambia and Regional Scientist), Kaala Moobe (Senior Researcher), and Cedric Ngoma (Project Coordinator for Nyimba) interview charcoal burners. Photo by Ollivier Girard / CIFOR. 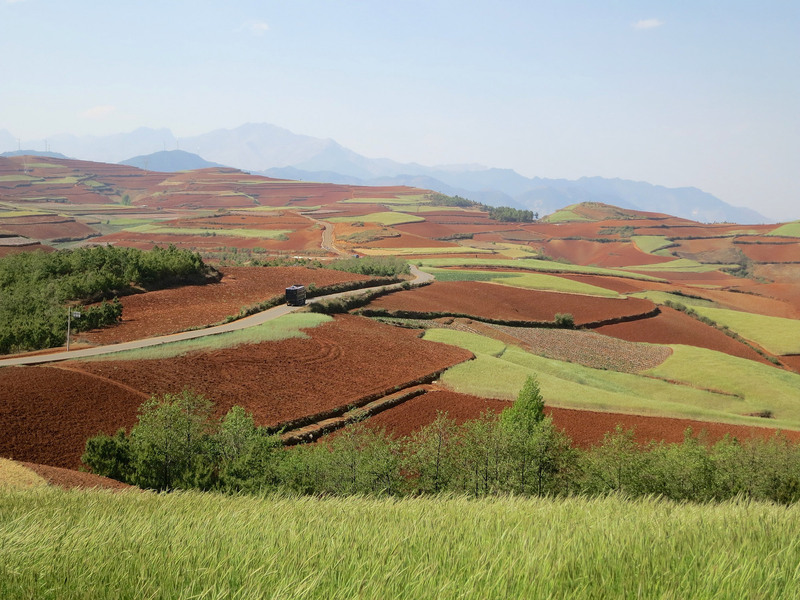 Afforestation patches subsidized by the Conversion of Cropland to Forest Program - Red Earth Township, Dongquan County, Yunnan Province, China. Photo by Louis Putzel / CIFOR. 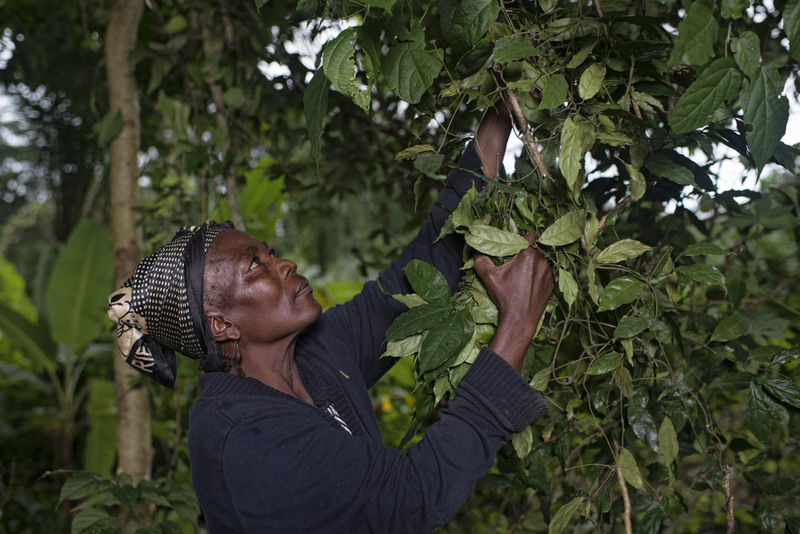 Women harvest the Gnetum (okok) - Village Minwoho Centre, Region Ewodioula, Lekie Province, Cameroon. Photo by Ollivier Girard / CIFOR. 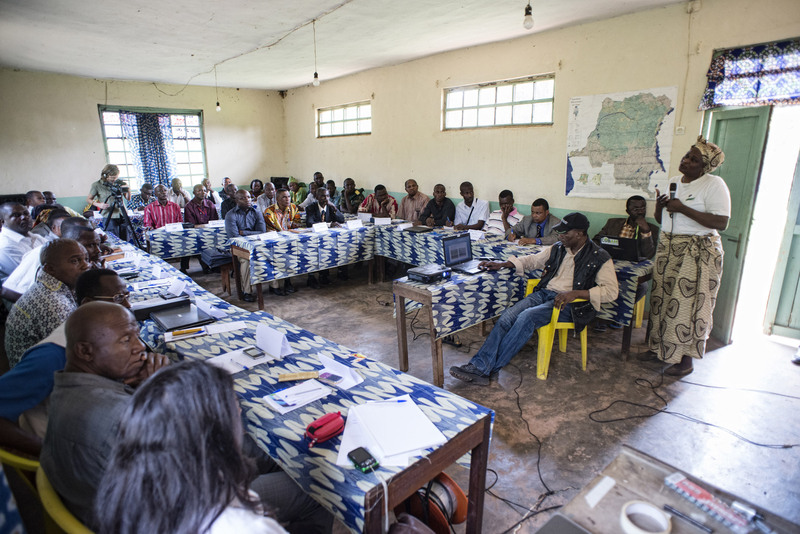 CIFOR's Anne Marie Tiani (Senior Scientist and Program Lead for COBAM) conducting workshops with remote communities – Luklela, RDC. Photo by Ollivier Girard / CIFOR. 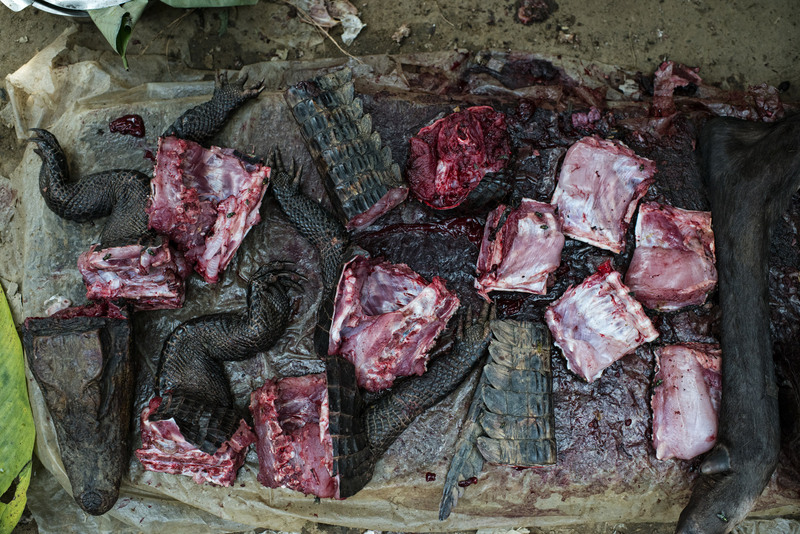 Bush meat (crocodile and antelope) at the Market of Moutuka Nunene – Lukolela, RDC. Photo by Ollivier Girard / CIFOR. 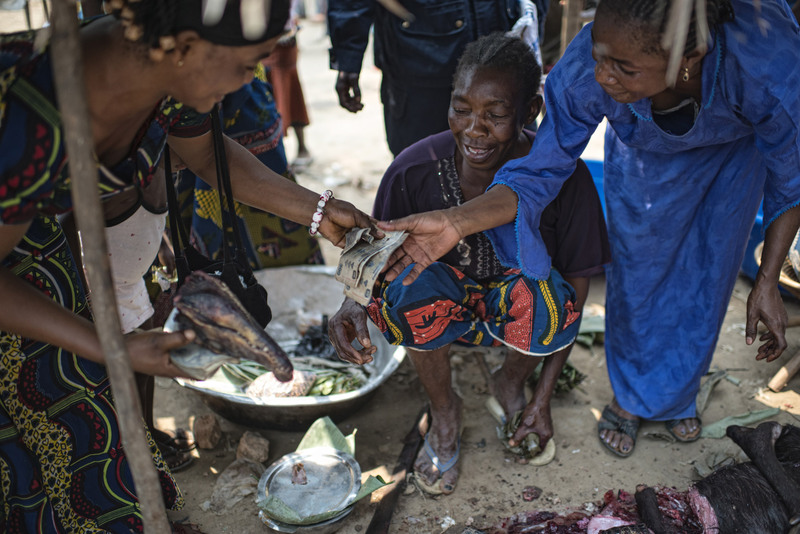 Jeanne Mwakembe and Bernardette Maselé at the Market of Moutuka Nunene – Lukolela, RDC. Photo by Ollivier Girard / CIFOR. 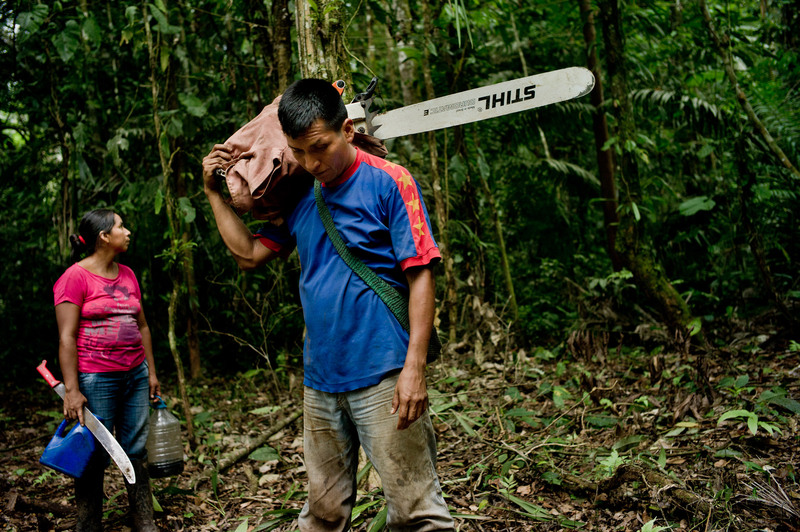 A Kichwa couple walk in the jungle to cut timber - near Coca, Ecuador. Photo by Tomas Munita / CIFOR. Support from CIFOR’s funding and strategic partners continues to underpin our research in advancing human well-being, environmental conservation and equity on the most pressing challenges of forests and landscapes management around the world. We are thankful to all the organizations who have supported our research efforts this year, and enabled CIFOR to advance its key goals in shaping effective policy on forestry, improve the management of tropical forests, and target the underlying drivers of deforestation and degradation. The CGIAR Consortium is an international organization that, together with the CGIAR Fund, advances international agricultural research for a food- secure future by integrating and coordinating the efforts of those who fund research and those who do the research. The CGIAR Fund is a multi-donor trust fund that finances CGIAR research across 15 research centers. The CGIAR Fund is administered by the World Bank and governed by the Fund Council, a representative body of the Fund’s 36 government agencies and private foundation donors and other stakeholders. We would like to thank all funding partners who supported our research through their contributions to the CGIAR Fund. I AM DELIGHTED THAT CIFOR AND THE UK CLIMATE CHANGE UNIT ARE WORKING TOGETHER TO ANALYzE THE COMPLEX DYNAMICS BEHIND FOREST FIRES IN SUMATRA. 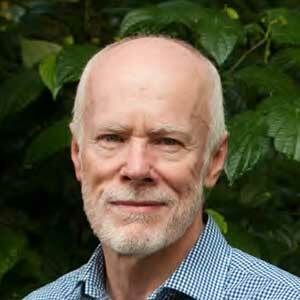 WE’VE BEEN IMPRESSED BY CIFOR’S EXPERTISE IN DELIVERING CREDIBLE EVIDENCE. 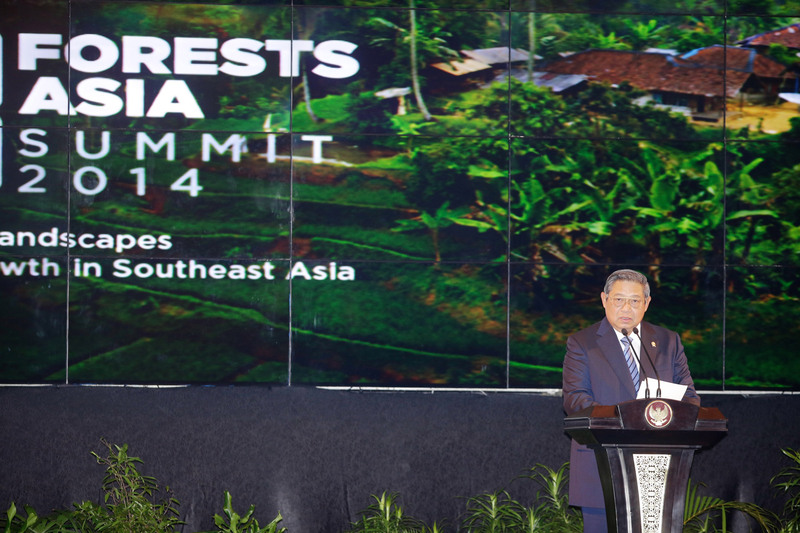 THIS WORK WILL HELP US TO SUPPORT INDONESIA’S EFFORTS TO IMPROVE FOREST MANAGEMENT. THE KNOWLEDGE CIFOR HAS GENERATED WILL BE VERY HELPFUL IN FUTURE ACTIVITIES TO ENHANCE RETURNS TO SMALLHOLDER FARMERS FROM TREE GROWING AND SUPPORT THE DEVELOPMENT OF PROSPEROUS REGIONAL ECONOMIES IN FORESTED LANDSCAPES. 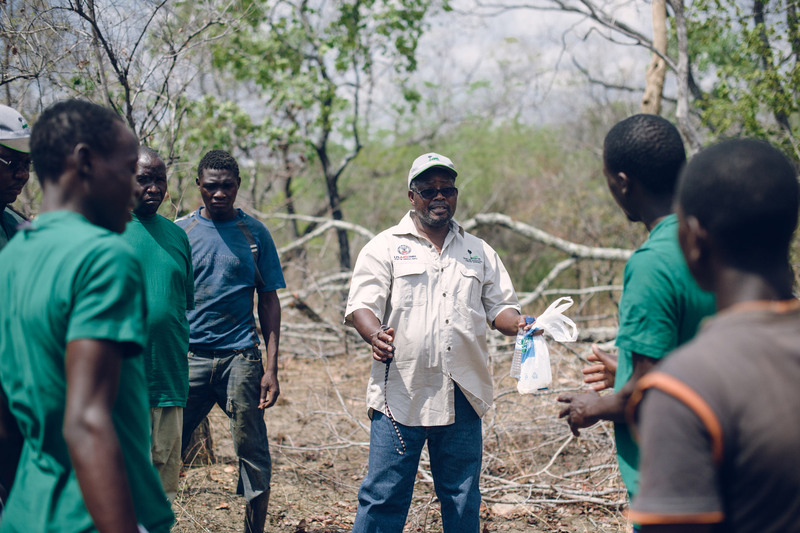 AS A RESULT OF THE USAIDFUNDED ‘NYIMBA FOREST PROJECT’ THAT WAS IMPLEMENTED BY CIFOR, EIGHT VILLAGES IN ZAMBIA NOW HAVE VILLAGE FOREST MANAGEMENT ACTION PLANS THAT NOT ONLY CONSERVE FORESTS BUT ALSO PROVIDE LIVELIHOOD OPTIONS FOR THE VULNERABLE COMMUNITIES.